Shea Peck graduated from Duquesne University in 2010, where she enjoyed a full, 4-year basketball scholarship and earned degrees in Sociology & Spanish. After graduation, Shea moved back to her home state of West Virginia and began working in sales. In 2012, she launched her career in the mortgage industry by starting out as a loan processor with MVB Mortgage. 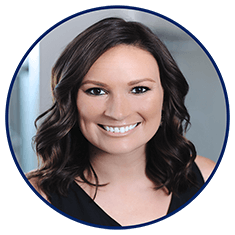 After spending some time in operations, she then moved to the sales side and became a loan officer assistant for two top-producing loan originators in WV. In less than a year, Shea was offered a loan officer position with MVB and has been originating mortgage loans since. In search of a warmer and sunnier life year round, Shea and her boyfriend, Connor, decided to head south to The Sunshine State. In May of 2018, they relocated to Jacksonville, Florida where Shea joined the Bank of England Mortgage family. Shea brings over 6 years of mortgage industry experience with her to BOE and is excited for the countless opportunities that Northeast Florida has to offer. Outside of work life, Shea and Connor live for traveling the world every chance they get, taking in as many new and exciting experiences as possible. They spend every weekend they can on the beach relaxing and listening to music. Both former D1 athletes enjoy living an active and healthy lifestyle which includes working out and cooking together daily. Shea takes pride in the relationships she builds with her customers and referral partners. She looks forward to working with her clients and helping them achieve their homeownership dreams!